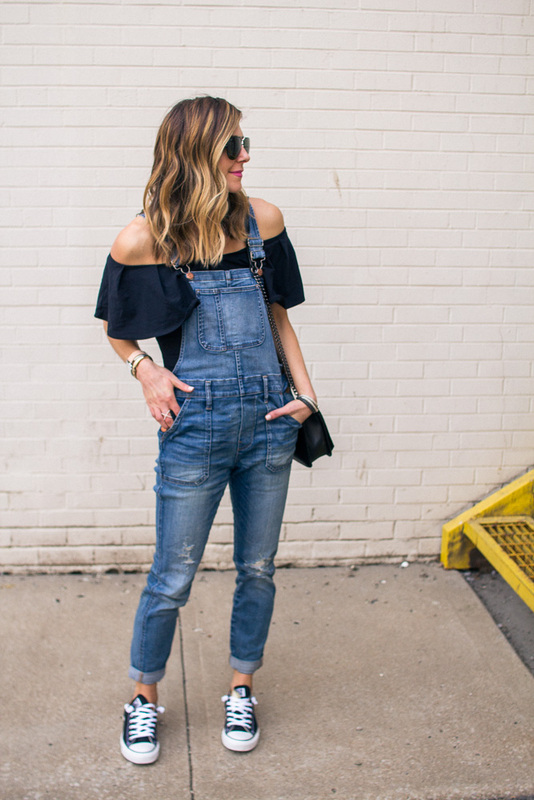 Sharing another way I styled my favorite pair of overalls. 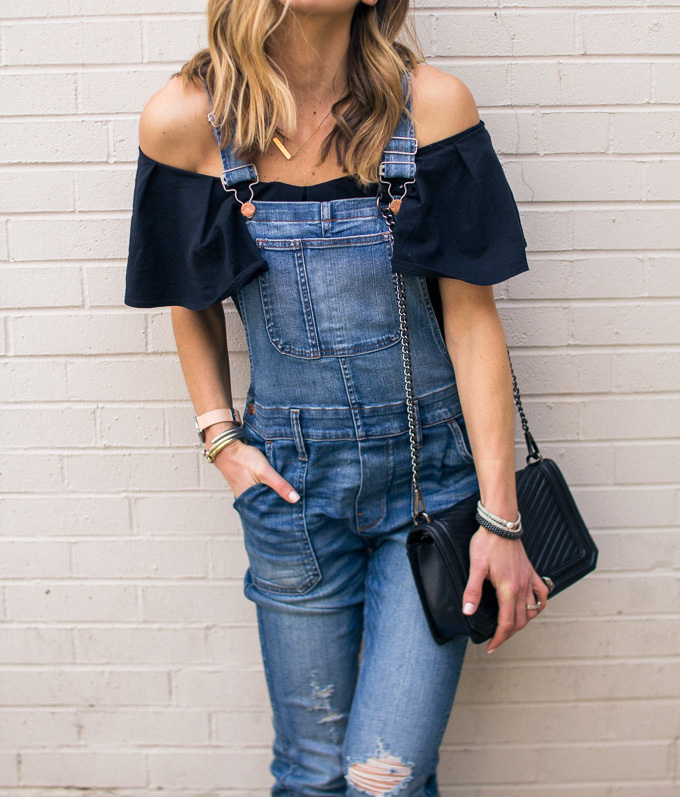 These overalls are a skinny fit with stretchy denim which make them super flattering yet comfortable. I love the slight distressing for a well-loved look. I paired with this adorable Free People off the shoulder ruffle top which will also look cute with a denim skirt or shorts. I hope you all had a great weekend! I had a pretty busy weekend with my closet sale. I had a lot of you ask if I would post any online and if I do I always post to my @shopcellajane instagram page, so make sure to follow that. I made add some items today. Top -wearing size small fit true to size. Shoes-run large size down half size. See other ways I styled these overalls here and here. Thanks for stopping by!! Love you all! You make me want a pair! Just love your style. 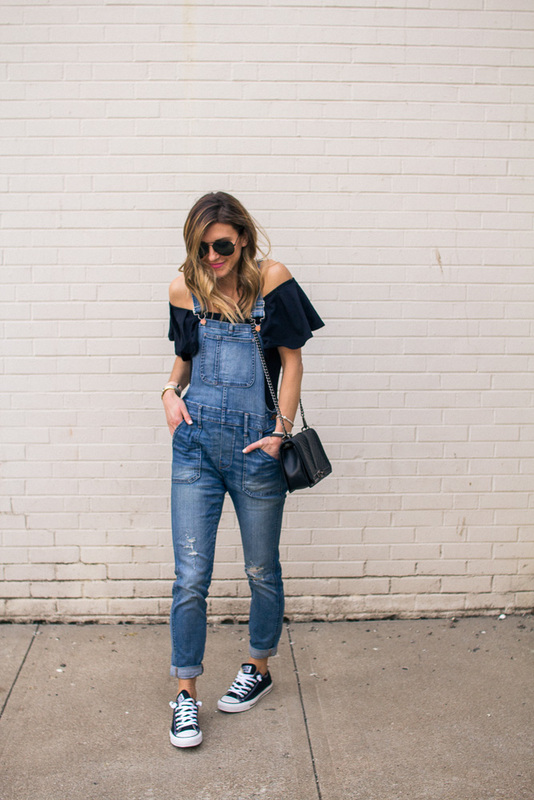 Denim are always in trend. This is perfect for the spring. I also had a some clutches from Alysse Sterling in my spring wardrobe.